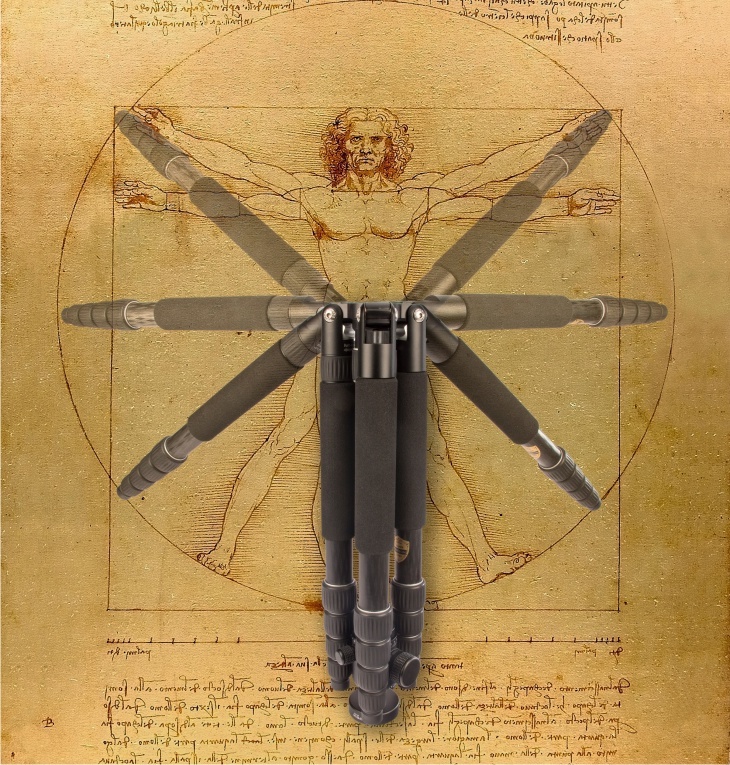 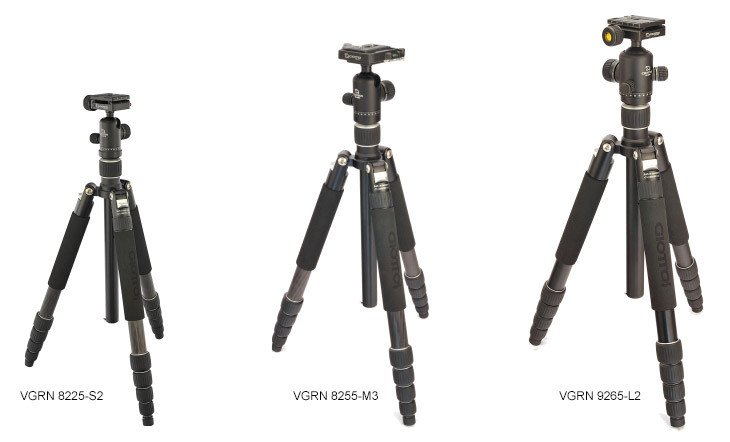 VGRN series are reversal structure tripods designed according to the Golden Ration shown on Da Vinci’s famous picture of Vitruvian Man. 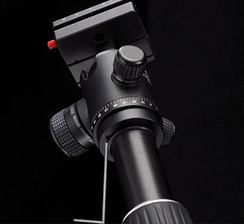 All series features leg angle adjusters for 3 leg spread angles which allows setting each leg at different positions individually. 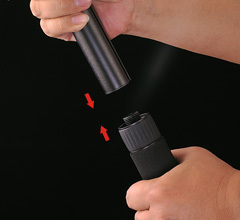 They feature speedy dust-proof locking (SDL) system which is Giotto’s patented design, you can loosen all the locks with one hand at the same time with just a 1/8th twist. 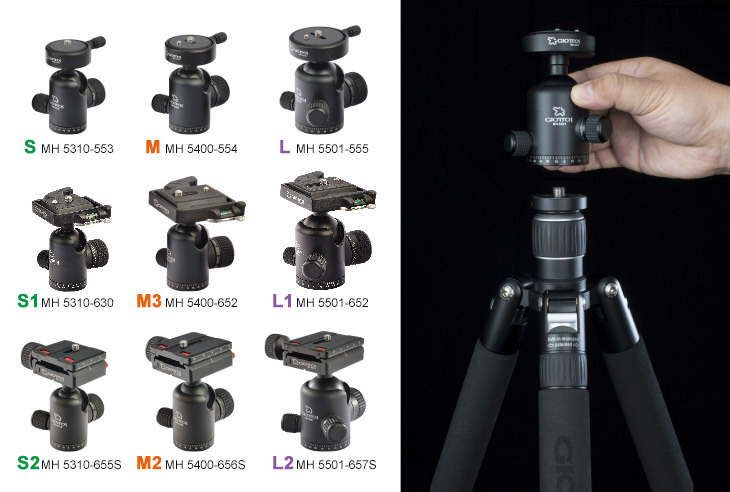 It provide stable, nimble and precise operation to capture more fleeting images. 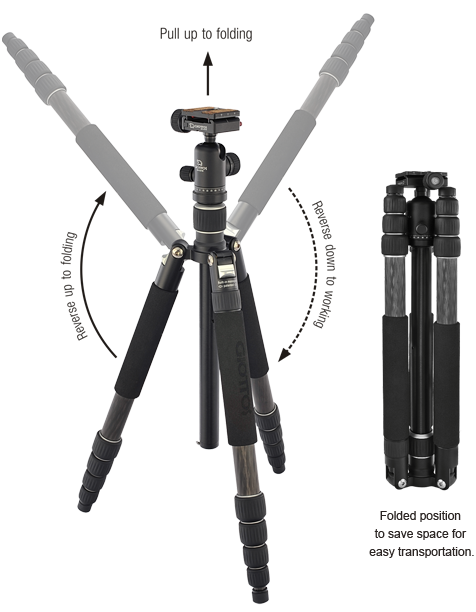 To change the leg position, just push adjuster to change leg spread angles which allows setting each leg at a different position individually. 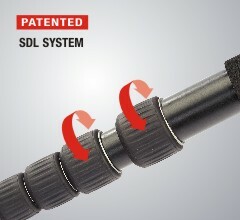 The SDL system features a 3 spirals thread locking system so you can tighten or loosen all of the locks with one hand at the same time with just a 1/8th twist ! 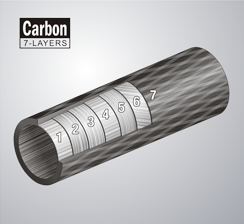 7X multi-layer technology high density carbon tube. 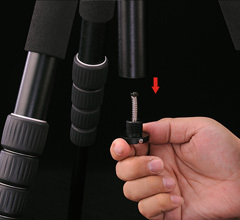 Unscrew the tripod leg with the upper rubber sleeve counterclockwise. 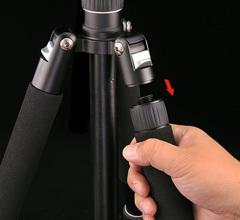 Remove hook on the end of center column and pull out whole center column. 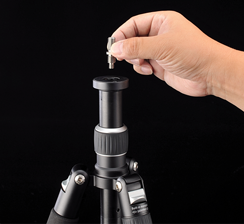 Assemble the center column and tripod leg. 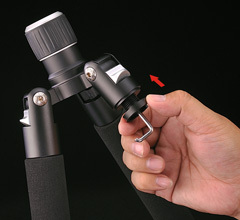 Removable hook can be stored here when change to monopod function. 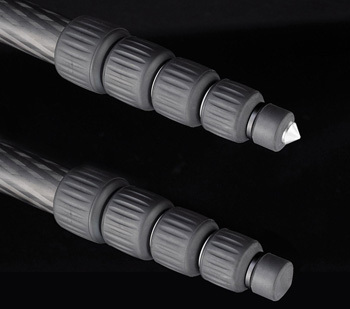 features spike inside rubber feet. 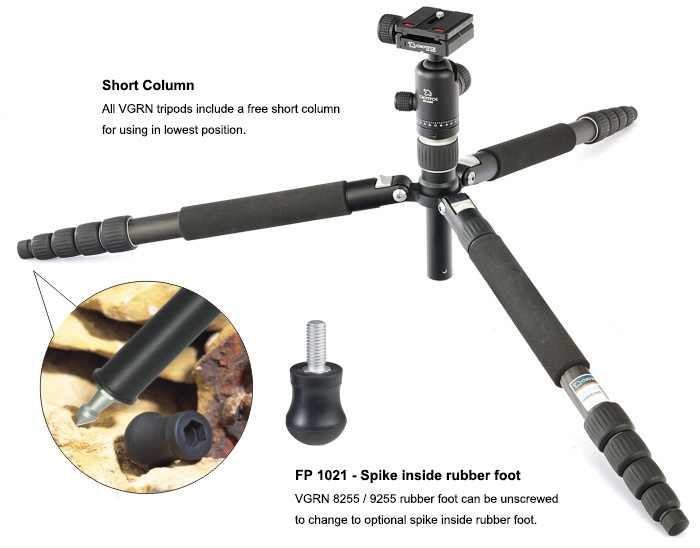 Just turn the rubber feet clockwise to expose the spike. 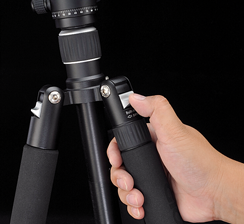 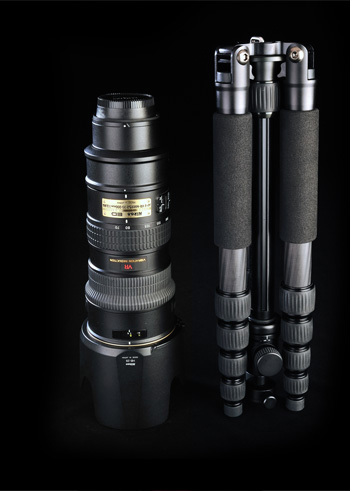 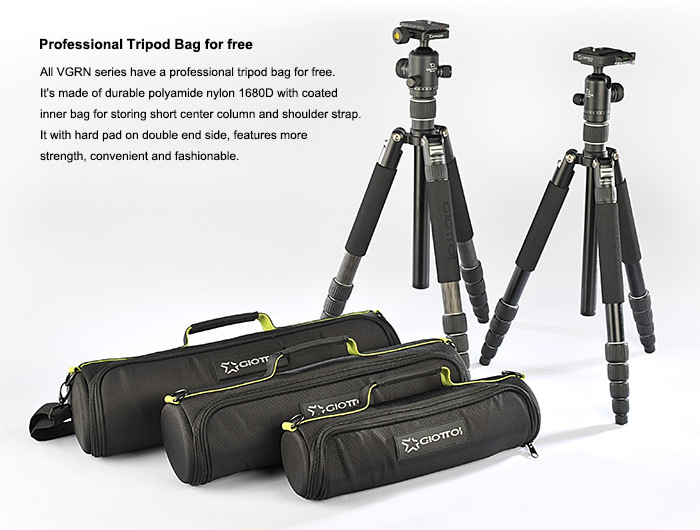 it can be detached from tripod for change to 3-way head or others.